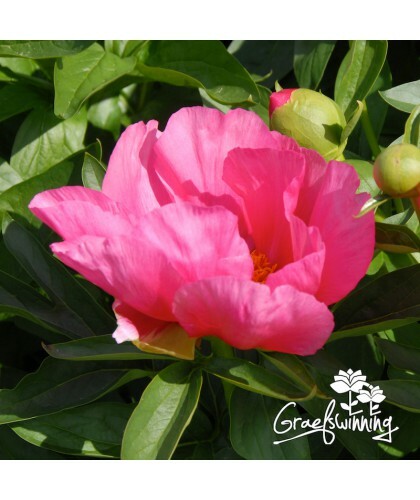 Paeonia Itoh "Little Darlin'". Size does not matter! 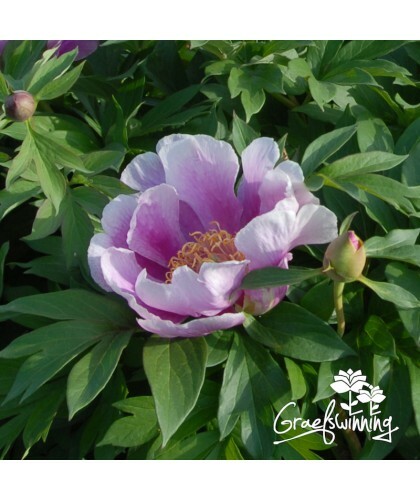 The chalice like lavender flowers beautify the small dome shaped plant. 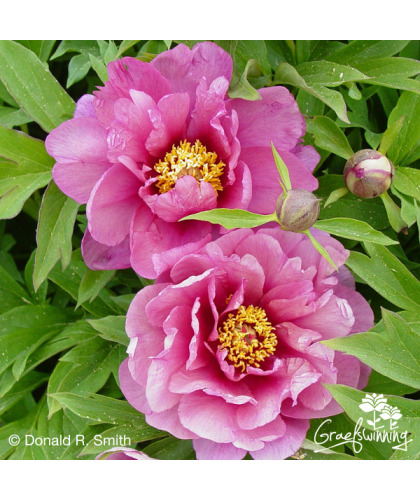 Single to semi-double with purple tipped stigmas and a little band of stamens they weather gracefully. 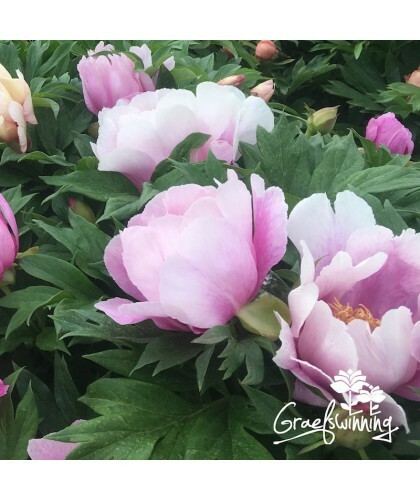 The flowers are harmoniously set above the soft green tree peony like foliage and stems are strong to keep the bush in place until late in the season. A little darlin’ for the front of border. 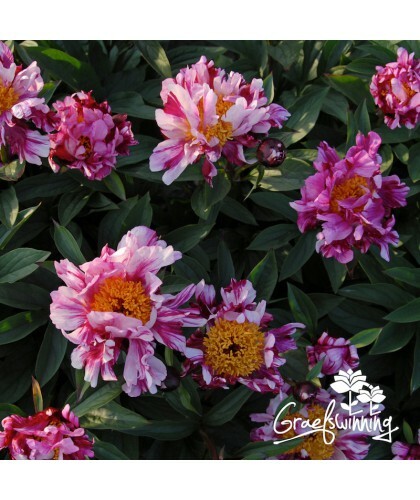 More peonies by Anderson Roger F.
b| 40 to 60 cm | 16" to 24"